Hlavná > doc. PhDr. Zora Hudíková, PhD. pondelok, 14.45 - 16.15 hod. ADM 002 Emotional factors in creating media contents / Hudíková, Zora, 2015. In: European Journal of Science and Theology. - ISSN 1841-0464, Vol. 11, no. 6 (2015), pp. 155-165. 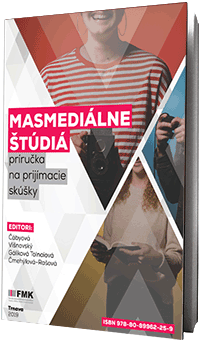 ADM 003 Current TV production trends in Slovakia / Hudíková, Zora, 2017. In: European Journal of Science and Theology. - ISSN 1841-0464, Vol. 13, no. 6 (2017), pp. 197-208. AFC 001 Selected management problems in online/web newsrooms / Hudíková, Zora - Pravdová, Hana, 2016. In: 4th International Conference on Contemporary Marketing Issues ICCMI June 22-24, 2016 Heraklion, Greece / editors Christos Sarmaniotis, Gillian Wright. - [Thessaloniki] : [Alexander Technological Educational Institute], 2016. - ISBN 978-960-287-153-9, S. 108-114 [CD-ROM]. AFC 002 Food marketing as the taste and smell of countries / Hudíková, Zora, 2017. In: Conference Proceedings : 7th Advances in Hospitality & Tourism Marketing & Management (AHTMM) Conference : 10 - 15 July 2017 Eastern Mediterranean University, Famagusta, North Cyprus / edited by Ali Ozturen, Dogan Gursoy, Hasan Kilic. - [Famagusta] : [Eastern Mediterranean University], 2017. - ISBN 978-0-9964244-2-4, S. 548-559. AFC 003 Psychological and communication aspects of reality shows / Hudíková, Zora, 2017. In: SGEM 2017 : 4th International Multidisciplinary Scientific Conference on Social Sciences and Arts : Science & Society Conference Proceedings. Volume II : Psychology and Psychiatry. Language & Linguistics. - Sofia : STEF92 Technology, 2017. - ISBN 978-619-7408-19-5. - ISSN 2367-5659, S. 279-286. AFC 004 The convergence of media and journalism / Hudíková, Zora, 2017. In: SGEM 2017 : 4th International Multidisciplinary Scientific Conference on Social Sciences and Arts : Science & Humanities Conference Proceedings. Volume I : Human Geography, Media and Communications, Information and Library Science, Demography and Women´s Studies. - Sofia : STEF92 Technology, 2017. - ISBN 978-619-7408-23-2. - ISSN 2367-5659, S. 133-140. GII 001 Journalism, yesterday, today and tomorrow / Tušer, Andrej - Hudíková, Zora : interview with Andrej Tušer ; [dotazovateľ Zora Hudíková], 2018. In: Communication Today. - ISSN 1338-130X, Roč. 9, č. 1 (2018), s. 140-148.